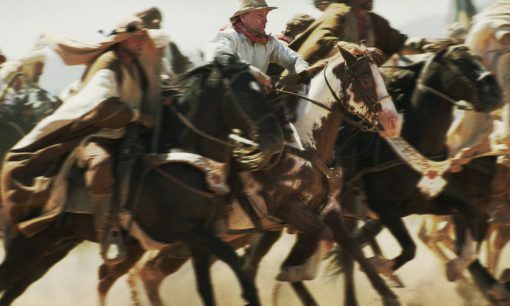 An article about Hidalgo from the perspective of the American cowboy heritage and horsemanship finds that the film's message is "cowboys are good guys, and what they represent can be found worldwide in men who love horses." Interviews with director Joe Fusco and horse trainer Rex Peterson describe Viggo's commitment to horsemanship. Descriptive review focuses on the moral depth of Hidalgo, as Frank Hopkins "chooses the narrow road and makes his motives clear to those trying to weaken his resolve or make him weak." The reviewer concludes that Hopkins embodies the best of the ideal of the American cowboy.